MUMBAI, India — Palash, the largest tiger at the Sanjay Gandhi National Park in Mumbai, still paces his cage for the hour leading up to dinner and still pounces on his meal when his handlers lift the gate to his feeding room. But lately what the 440-pound feline finds is not his usual 15 pounds of raw beef, fresh from the slaughter. Instead, he and the park’s eight other Bengal tigers, three lions, 14 leopards and three vultures are subsisting almost exclusively on decidedly lighter fare: chicken. The law has been sought by Hindu right-wingers, who helped bring Prime Minister Narendra Modi and his Bharatiya Janata Party to power last year. Their ability to get the ban passed is seen by many as a sign of their growing power in the B.J.P.-led governments in important states. 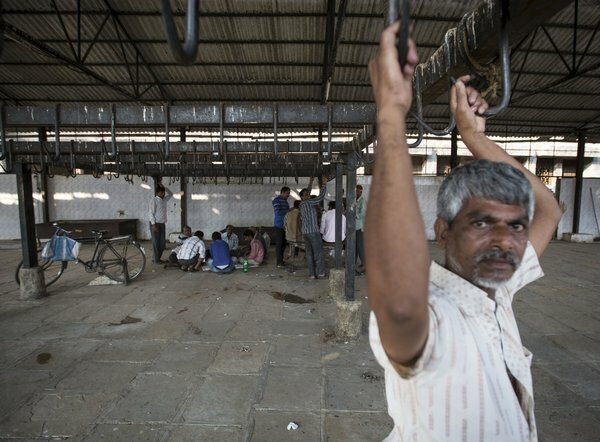 The new rules caused grumbling from Mumbai’s cosmopolitan, sometimes beef-eating elite — a group that includes some Hindus — who were sore over the sudden disappearance of steaks in restaurants. Others were unsettled by the rising culture wars between the Hindu right and those who oppose its agenda, including minorities. In this case, that group includes the state’s mostly Muslim cattle traders and meat retailers, who fear the ban will damage their businesses. 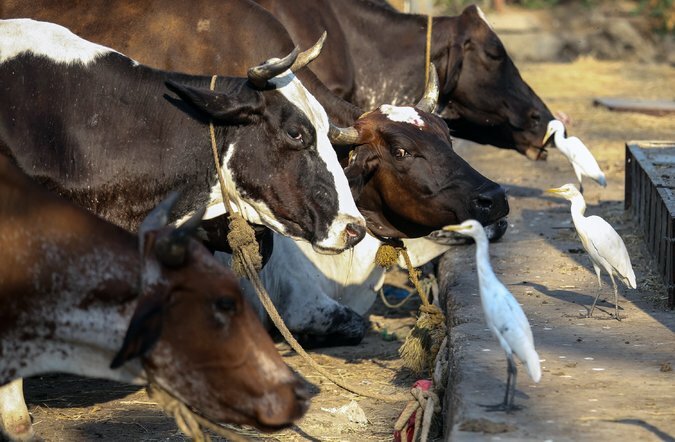 The animals’ handlers, who seem baffled by the attention in the Indian news media since the ban, give mixed reviews on the switch to white meat.